Petrol; Where we go from here? They say money can buy every thing except love. This is not true. You cant buy petroleum even if you have money, at least not in Lahore. Now petrol is deficient in Pakistan, particularly the situation is getting critical in Lahore. It has been nine days that people are not getting petrol. Auto owners are seen pushing their big big cars with bug big tyers to the closest petrol station where they find “Petrol is Not Available” and find a long queue of cars already waiting for their turn. Today, I was shocked when lined up in one of the longest queue I have seen in life, I saw a very young son pushing a car and an old father steering it to the station. Once they reach the station, they get little quantity of petrol (depending upon the logic and wishes of the petrol station administration). Lahories are used to different type of shortages! They have experiences and are used to electric shortages, sugar shortages, floor shortages, CNG shortages. But the going gets difficult when they adjust to one shortage and the next starts. 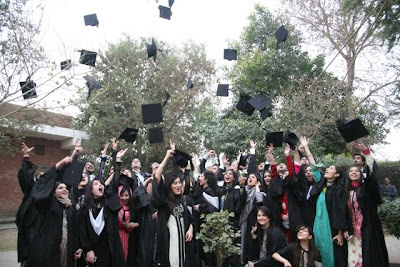 The Lahore School of Economics is having its Sixth Annual Conference on the Management of the Pakistan Economy on the 22nd – 23rd of April, 2010 at the Lahore School main campus (on Burki Road). The theme of this year’s Conference is “Development Challenges in the New Decade”. The Conference will bring together a group of distinguished academic researchers and decision makers from the private and public sectors. In each session the speakers will present papers related to the theme which will be followed by a short discussion. Lahore School of Economics Center for Research in Economics and Business (CREB) is organizing a seminar by Dr. Mathew McCartney on Monday April 5, 2010 at Mahmood Chaudhry Library, Lahore. The topic of the seminar is: Pakistan 1951-2001: The Forgotten Asian Economic Success. There is an almost uniformly negative perception of Pakistan’s economy in current media and academia, this view is sharpened by the very positive reporting of India – the new Asian Giant/ Miracle. It is firstly interesting to remember how such images have changed dramatically over time. In the 1960s for example Pakistan was widely seen as a ‘miracle’ economy with a modernizing and pro-western leader and India as a country becoming increasingly impossible to govern and facing a future of likely mass famine. Making a judgment about whether a country/ economy has been a ‘success’ or ‘failure’ is too often based on media perception and heavily weighed by recent economic events. There are more rigorous means of making such a judgment about Pakistan since 1947. Those included in this seminar are a comparison with Pakistan’s own history before 1947, a comparison with similar developing countries after 1947 and a comparison of Pakistan’s development after 1947 with the initial conditions and constraints prevailing at independence. Using these more substantial and rigorous measures it can be possible under certain circumstances to say that Pakistan is indeed ‘the forgotten economic success of Asia’ of the last sixty years. 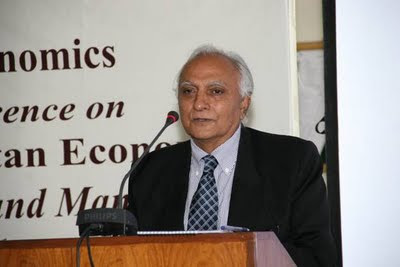 A Lahore School of Economics – IMF Roundtable Discussion “International Financial Crisis and the Role of IMF: The View from Pakistan’s Youth,” was jointly hosted by the Lahore School of Economics and the IMF Pakistan Office, at the Lahore School of Economics, on February 22, 2010. The discussion focused on the current international financial crisis and its national and international effects, implications of the international financial crisis on future economic policymaking, how will it affect economic liberalization, deregulation, and the role of the state? What can be done to prevent a similar crisis from reoccurring? How will the new landscape affect opportunities for addressing the region’s most pressing economic challenges, such as the need to provide employment opportunities, boost competitiveness, and find new sources of sustainable and equitable growth? And, what role can the IMF play in this respect? At this round table discussion, students gave their opinion on these topics and proposed fresh ideas regarding the IMF’s dialogue with Pakistan and its support for the international economic community currently and in the coming years. See more images here and here. Basant was a thing of beauty and was one of those rare events where a truly cultural event gathered people from all over the world. Yes, the world. Lahore owned basant, regardless where it came from. Even Lahore Metblogs has a separate category just for Basant! But you had to be living in a hole to not know that basant has been banned for some time. A petition moved sometime around 2005, initially by none other than the mayor of Lahore, Mian Amer Mahmood. Slowly but surely, you witnessed an exercise in ‘how to control and change a city’s very culture through the power of political will’. The reasons quoted were not many – two in fact, one being the loss to human life and the other being disruption in WAPDA’s electricity supply causing monetary loss. The ban on basant is silly. Loss of life and loss of the ever-so-present WAPDA supply are not reasons at all. And here’s why: the loss of life is not because the kite-flying itself is dangerous. Kite-flying has been around for quite some time. The murderous streak now automatically tagged with basant itself, has been introduced through the development of stronger string. A lot of people think that it is the razor-like solution that the string is soaked in that causes the string to be a knife-on-the-loose. Although the sharpness is part of the reason, the main reason is that the string itself is very strong. There was a time, I remember, when I was able to snap the string by pulling on it with both hands. It is a typical way of checking a string’s strength – tug at it and see when it breaks. But recently, I would notice that it has become harder and harder to just ‘snap’ the string. You would have to resort to either some serious pulling or just use to teeth to sever the string. It is the combination of ultra-strong string with razor-sharp solution (a.k.a. manja) that makes the string a killer. The reason the basant was and is still banned is not because the festival has turned deadly, it is because some people have invented and then sold this killer string to a lot of unsuspecting people. In fact, the real reason is that the administration has found it beyond them to crack down on the few string producers that manufacture the deadly string.